Vision: A Dane County where everyone can succeed in school, work and life. Mission: Unite the community to create measurable results and change lives. Poverty can affect children’s development, academic success, overall health, and lifetime earning potential. Approximately 64,000 Dane County residents live in poverty and 15,000 of them are children. United Way of Dane County currently reaches just one third of these individuals, and we know that we can do more together. 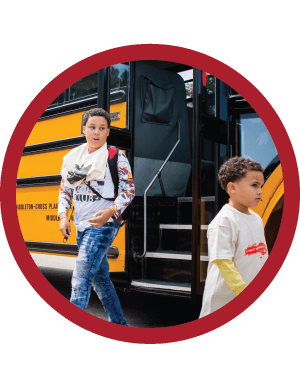 Together with our partners, United Way of Dane County has been able to achieve results on family stability and mobility from poverty using evidence-informed strategies, data-based decision making, and community engagement through the Agenda for Change. Below are a few of our Signature Initiatives and results in each area of the Agenda for Change. Decades of research show a child’s first years are a period full of exponential brain development with significant opportunity and vulnerability, depending on the relationships and environment in which the child is growing. United Way of Dane County invests in and provides thought leadership for three evidence-informed home visiting programs—Parent-Child Home Program, Welcome Baby and Beyond, and KinderReady—through partner agencies that help parents establish positive relationships with their children while providing early literacy skills to children. In 2017, 350 families received home visiting, two-generation programs that provide positive parenting skills to parents and early literacy skills children. 80% of children who complete the Parent Child Home Program are ready for Kindergarten. Students succeed academically and graduate from high school prepared for higher education, career and community. Education is one of the key building blocks to a stable life. It benefits the community for generations: high school graduates have higher earning potential, contribute more to their local economies, and are more likely to raise kids who graduate on time while there are negative effects for those who do not graduate high school. Third grade reading scores are highly correlated with later academic success and one reason why early interventions are important. 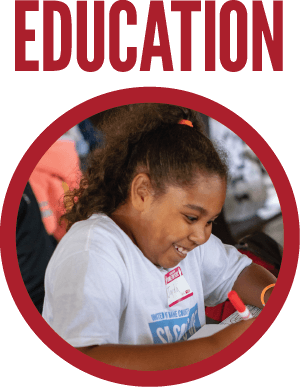 United Way of Dane County in partnership with AmeriCorps invests in and serves as program directors, staff, and tutors of Schools of Hope, a program that has provided individualized literacy instruction in elementary schools for over twenty years. In 2017, 1,652 K-5 students received individualized literacy tutoring from 396 volunteers through the Schools of Hope program, with more than 50% of students increasing literacy scores compared to a matched student sample group who did not receive tutoring. Jobs go unfilled in Dane County because employers can’t find workers with the right qualifications, while those in greatest need of a job often don’t have the necessary skillsets to be hired and earn family-sustaining wages. 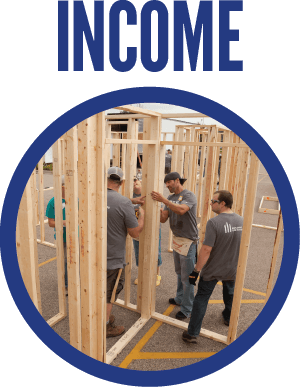 United Way of Dane County in partnership with agencies and employers invests in education and industry-specific training that ultimately provide individuals with the means to obtain jobs that grow into a career with family-sustaining wages through the HIRE initiative. In 2017, 390 people found employment through the HIRE initiative, and 128 of them were employed at $15 an hour or higher at employer partners throughout Dane County. 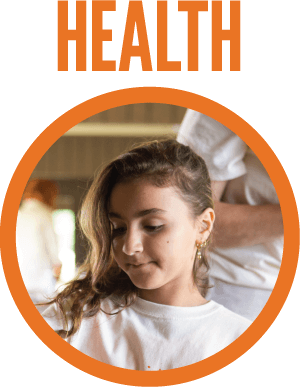 Children who are homeless are twice as likely to go hungry than other children, they experience three times the rate of emotional and behavioral problems and are more than twice as likely as others to repeat a school grade, be expelled or suspended, or drop out of high school. 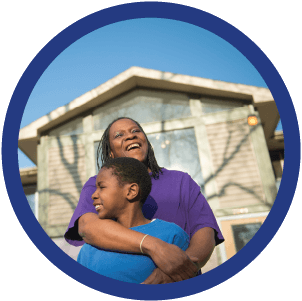 United Way of Dane County invests in and provides thought leadership for three partner agencies through the Housing First program by providing quality case management and direct access to affordable housing for families facing homelessness. In 2017, 210 families moved from shelter to stable long-term housing solutions through the Housing First program. Mental health concerns that go untreated can have a devastating effect on children leading to low academic achievement, and possibly, low employment outcomes. United Way of Dane County partners with Journey Mental Health and local school districts to offer the Cognitive Behavioral Intervention for Trauma in Schools (CBITS) school-based group intervention for youth who have experienced a traumatic event and are experiencing mental health concerns. During the 2017-2018 academic year, 2,937 students were screened through CBITS. Of those students, 131 were served through CBITS groups, with 62% reporting a reduction in depression symptoms. When older adults take multiple medications, they are at an increased risk of having an adverse drug event (negative reaction to a medication), which can lead to falls, hospitalization, and/or nursing home care. United Way of Dane County partners with the Pharmacy Society of Wisconsin on the Comprehensive Medication Review program to complete assessments of medication and prescriptions for older adults at community locations. 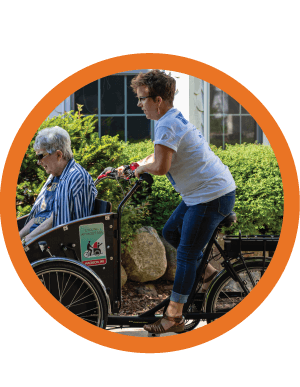 In 2017, 156 older adults received Comprehensive Medication Reviews through the community model of the Comprehensive Medication Review program.